Does This Hospital Gown Come With Sequins? Before People Magazine and hundreds of outlets around the globe made her face known to the world, she faced the fight for her life. one mother’s journey as she faces death after giving birth. A chronically ill mother of two recalls her near-death experience after the birth of her second child. Lisa Helfand bares her soul from a hospital bed in Chicago, at times feeling a million miles from help, even when surrounded by medicine and many latex-gloved hands hoping to cure her with standard protocols. Her condition confounds doctors and family, while her internal struggle is muffled by a tracheotomy. How long can one woman survive under these conditions? With two children to think of, and a marriage to keep afloat (not to mention carpools, holidays, and unforgettable first moments in her children’s lives rushing on without her), she endures unimaginable pain and ICU psychosis, without letting her sense of humor escape her. Lisa’s ultimate survival despite medical malfeasance, family friction, and maddening days of being locked in with her thoughts will appeal to a wide American audience. Women will identify with Lisa’s memoir as she struggles with marriage, parenting, friendships and society’s obsession with outer beauty. The story will move professional caregivers to a higher level of empathy for their patients. 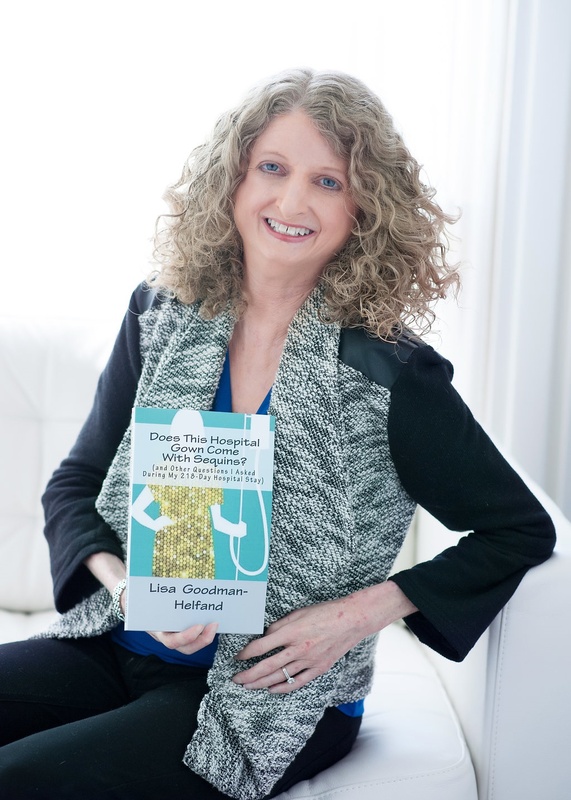 Chronic disease sufferers will see themselves in the book and feel validated and inspired. Her road to recovery is documented with humor and poise in this debut memoir. Click the link below to view the book in digital form and paperback. I bought it a few days ago. I think it might have just come out. My grandson was here visiting, so I had to put off starting to read it, but NOW I can get going!!! You probably don’t remember me, but I was very good friends with your sister at Middleton and used to go to your house a lot and hang out playing barbies- i even remember the sonny and cher or donnie and marie barbies we played. 🙂 Anyway, you are an inspiration, I never really knew how hard your life was- it was very well hidden. You are a hero and I am lucky to say I knew you when you lived on Lawndale. 🙂 I bought the book – and share the message with others. Know that you made a difference on this earth getting the message out and helping others. Lisa…if you want to do on-demand paperback see the bottom of Kindle page on create space link. No out of pocket. Works like kindle/amazon on a royalty basis.